Many people put off making plans for their estates. It’s not pleasant to think about one’s own mortality. However, many people find that once the planning is done they feel much better. It gives them great peace of mind to work out the details and know that their wishes will be respected. Estate planning is about money, but it’s also about family relationships. A good estate plan can protect a family. A bad estate plan (or having no plan at all) can tear a family apart and cause anger and resentment that lasts for generations. 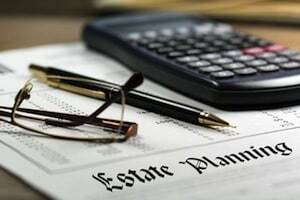 Tax planning and charitable gift planning are also part of the estate planning process.When a family business is involved, that further complicates estate plans. A will is a document that allows your survivors, your executor, and the courts (if necessary) to determine how you want your assets divided and distributed. Some people don’t understand why they should use an estate planning lawyer to create a will. Many fill-in-the-blanks forms are available on the Internet. However, a recent case reported in the American Bar Association Journal illustrates why do-it-yourself estate planning may not be a good idea. The article tells the story of Ann Aldrich, a woman who used an “E-Z Legal Form” when she drafted her will in 2004. Her will left her property to her sister, and then to her brother if her sister died before her. So who ended up with some of her property? Her nieces (daughters of another deceased brother) – who weren’t even mentioned in the will. The Florida Supreme Court ruled that property acquired by Aldrich after she made out her will was governed by the law of intestacy – the law that determines how property will pass when a person doesn’t have a will. This happened because the “E-Z” form didn’t have a residuary clause providing for the disposition of property not listed in the document. Consulting an experienced estate planning lawyer can help you avoid mistakes like this. If you have questions about estate planning, or if you’re ready to prepare a will or trust, we invite you to contact our Hackensack office for a free initial consultation with one of our experienced New Jersey estate planning attorneys. Call us today at (201) 345-5907 or send us an e-mail and let us help you with your New Jersey estate planning matter.